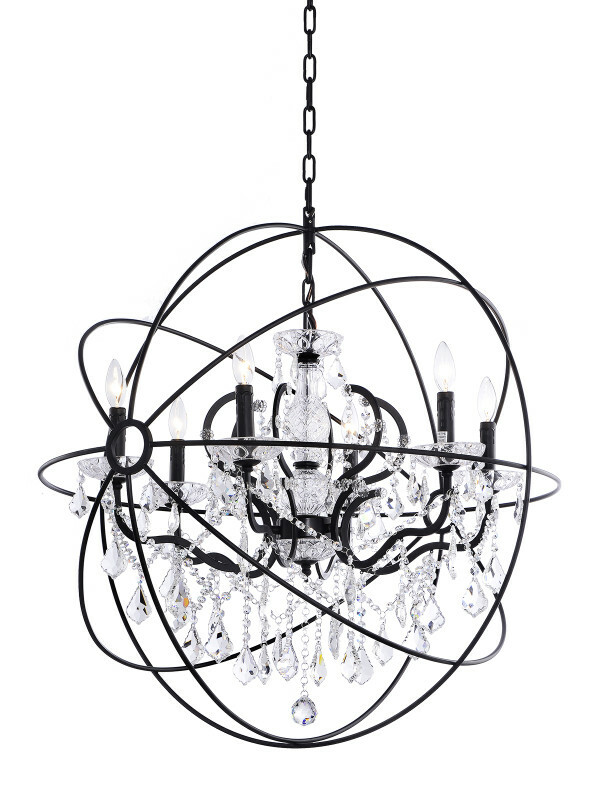 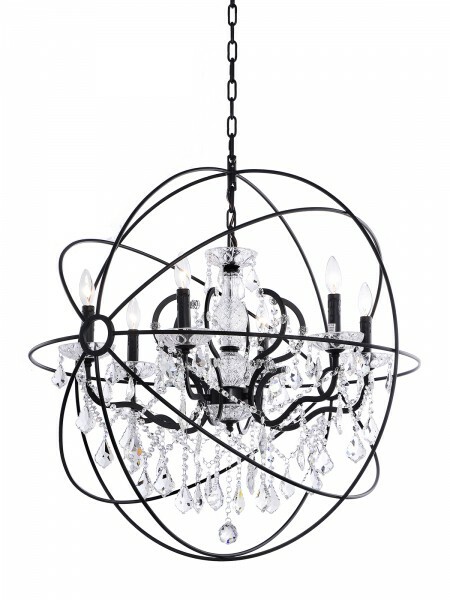 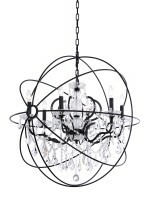 Package Dimension: 36" x 36" x 37"
Our magnificent Orva chandeliers are composed of gorgeous crystals and an ornamental wire globe. 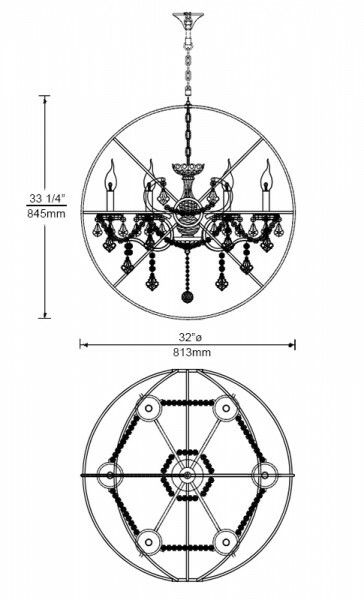 A grand and clean design that adds a sense of admiration to your desired space such as the dining room. 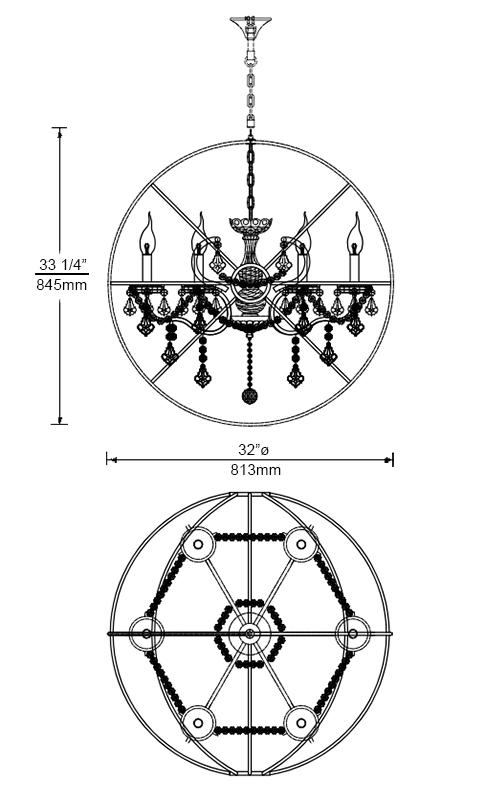 Available in 2 sizes and 2 finishes.